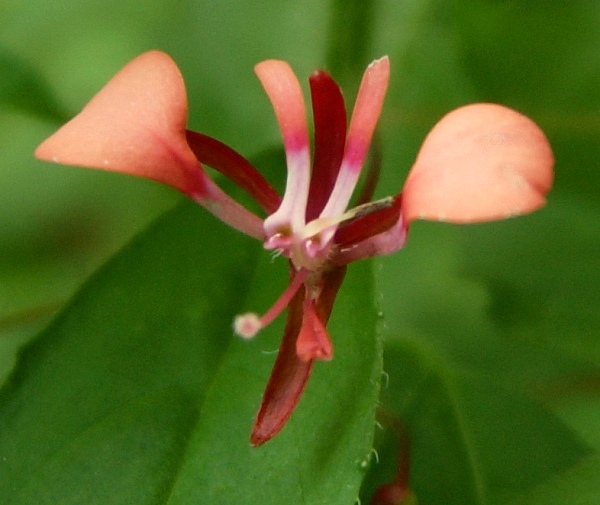 This is a close look at the rare Lopezia hirsuta from mountain forests in Mexico. This charming perennial has cute, peachy blooms that sort of resemble mouse ears or a giraffe's head. The flowers are hardly big - they're about the size of your fingernail - but they appear by the hundreds throughout the year! 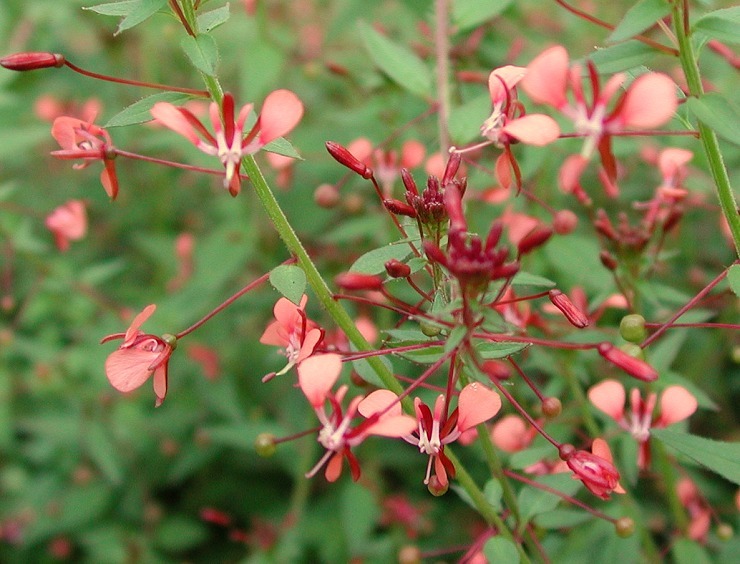 This is an intriguing collector's plant that might not be available anywhere else online! Lopezia hirsuta is a distant relative of Fuchsias. It is a compact plant about 2 feet tall and wide, making it well-suited for a pot or a hanging planter. The stems are densely covered in fuzzy hairs, hence the species name "hirsuta". The flowers are suspended outward from the top of the plant almost every month of the year. 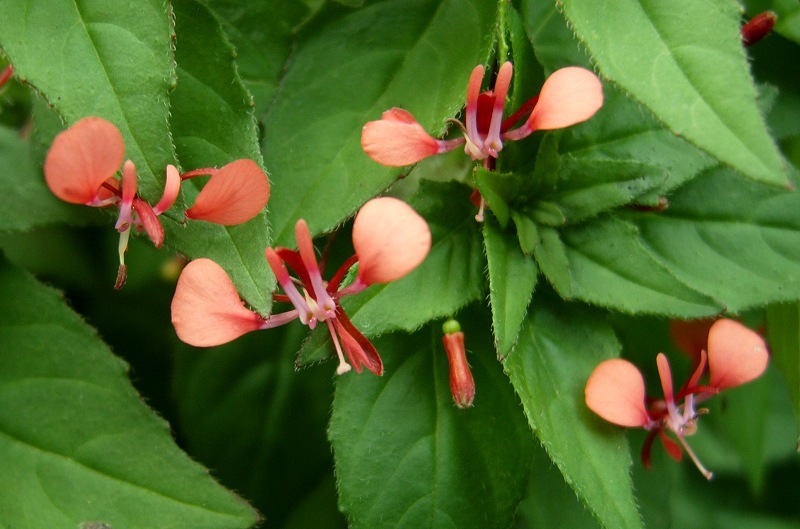 The blooms have orangey-red bracts and salmon-colored petals, and are followed by little purple berries. It thrives here in San Francisco, where temperatures are cool all year. I have no information about its hardiness, so consider it experimental in hot conditions. I don't know if it can survive frost. Fortunately it grows well indoors. It enjoys filtered sun or morning sun. It probably will need protection from strong afternoon sun. Grow it in a typical, well-draining soil mix, and keep it evenly moist at all times. Over about 40% humidity is best. In the right conditions, it is easy to grow.